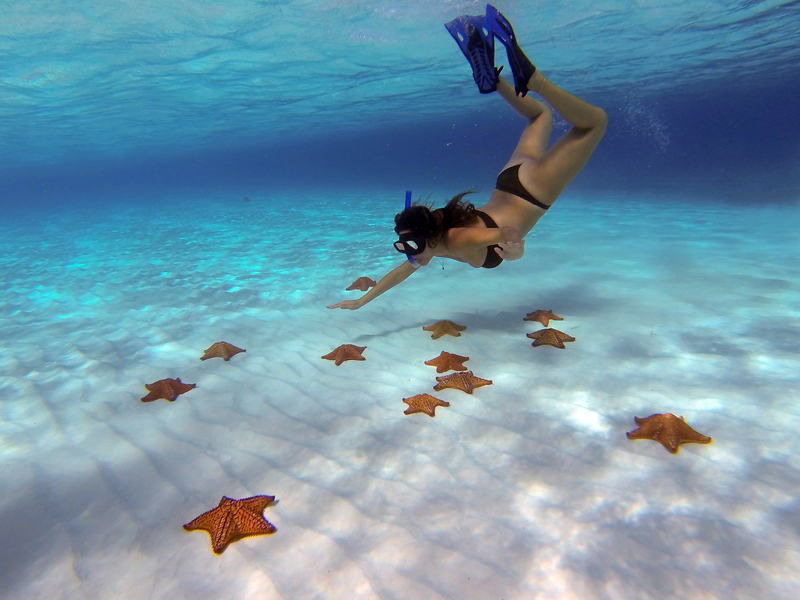 Snorkelling in Cozumel is one sport you should put on your bucket list. The coral reef system in Cozumel has been a magnet for scuba divers and swimmers for a long time. The sight while snorkelling is a sight to behold, all the fantastic marine life, endless coral reefs and the dazzling clear blue waters of the ocean are memories you will live with for a long time. While at Cozumel, you will find amazing packages and tours to amazing reefs and affordable prices that you don’t want to miss out on. Some of the beautiful reefs you should definitely lookout for are the Palancar reef, Columbia reef, and the El Cielo Cozumel sandbar. For one to enjoy the snorkelling experience at Cozumel, one is required to meet the following requirements; one is supposed to be an experienced swimmer to be able to go to some exotic and exciting coral reefs. For an inexperienced swimmer, their pool for places they can go for snorkelling is a bit limited, and they must do so while wearing a life jacket. It is also recommended for people above 16 years who have advanced snorkelling skills. For kids below, their snorkelling tours will be guided, and it will be on guarded waters. Pregnant women are also not allowed on many snorkelling tours because of their condition. One is advised to go for snorkelling in a group to have an ultimate snorkelling experience and have fun at the same time. Lastly, the weather in Cozumel is always friendly, warm and sunny. So park light and remember to carry your sunscreens and don’t forget the snorkelling suits and to have a marvellous time in Cozumel. While at Cozumel, one has several options for snorkelling. One can do it as a group in snorkelling tours, or one can opt to go for snorkelling on their own. If you opt for snorkelling by one’s self, here are some places you should consider visit while on the excursion; snorkelling in the north end of Cozumel Island that is visiting coral Princess, Melia, Playa Azul and Cozumeleno. Snorkelling in these parts of the island is only recommended for strong swimmers with advanced snorkelling skills. This is because the currents at this part of the ocean can be very strong and unpredictable. The currents in these areas are estimated to be close to 2-3 Knots miles per hour. Most of these currents also tend to push swimmer deep into the sea and not towards the land hence one is required to take care. Other than these scary conditions, one is bound to enjoy the snorkelling trip as you will get to see lots of different schools of fish and sponges. You will also get to see a part of the ocean being purple below where you will see grass instead of coral. It is such an amazing experience. One can also snorkel in the southern part of the island. These are the best part to snorkel from as the currents are mild and they tend to push one to the shore unlike the ones in the Northern Part thus one can enjoy the snorkeling experience. It is thus a good area to snorkel for beginners and also the experts. Areas one should look out for during the excursion include Playa Caletita Beach. It is located south of the Lighthouse. Snorkeling is so much fun right at the beach, but you won’t be disappointed if you move a little bit south towards the lighthouse where you will enjoy yourself. There is also the Snorkel Centre Put In; here you will see so many coral heads, fan corals and plenty of fish. It is located on the left side of the road after leaving Playa Caletita. The best time to snorkel in this area is after 9 AM local time or before noon. One should also plan to snorkel at the Money Bar Beach club waters. To access this well-known snorkeling spot, you can take a taxi to and from the place. One can also drive themselves there. The place was once known as Dzul Ha. This place is a very good base for long hours of snorkeling. In fact, many cruise ships arrange tours to this place. You can order food and drinks while you are there. To avoid crowds of people if you want a peaceful snorkel time, plan to go there between 9 and 10.30 AM local time or you go after 4 PM. You should also plan to visit the Fiesta Americana beach. It’s Just along the southern beaches coastline half a mile after the Dzul Ha. You will find beautiful marine life and unique plant life in the snorkel in front of the restraint. The currents are smooth here, and you are likely to enjoy your stay. You should also visit the Chankanaab National park snorkeling points. It is located along the coastal strip just after Fiesta Americana. There you will find long stretches of beautiful manmade beaches that you will love, they also offer rental of gears and have practice classes for those who have never snorkeled before. It’s a good sport to learn how to snorkel and also for the whole family at large. There is so much to see while snorkeling here; the famous parrot fish, schools of sergeant majors, the underwater statues like the Chaak Mool, the rain god, the virgin and the Christ and much more. You will not find corals here though. You can also visit the museum and other parts of the park when not snorkeling. These and many more adventures await you in Cozumel during your trip there. If you are planning to snorkel in Cozumel while on tour, the following are some of the tours with good reviews and pocket-friendly you should look out for; COZUMEL SNORKEL TOUR: CORAL REEFS & PLAYA MIA, where for 65 USD per Adult, you will be at the most beautiful snorkeling place in the Island: El Cielo (The Sky) reef, If you want to enjoy a day at a Beach Club Resort, you could also visit Mr. Sancho’s Cozumel and from there take the MR SANCHO’S COZUMEL BEACH TWO REEF SNORKEL EXCURSION for only 35 USD,With all these fantastic tours and magical reefs, it is now evident why snorkeling in Cozumel is a must-do thing. Relax, enjoy and make memorable memories to last you a lifetime!